Kate Field was one of the first American celebrity journalists. A literary and cultural sensation, she wrote for several prestigious newspapers, such as the Boston Post, Chicago Tribune, and New York Herald. She was an intelligent and independent woman, an outspoken advocate for the rights of black Americans and founder of the first woman’s club in America. Mary Katherine Kate Field was born October 1, 1838 in St. Louis, Missouri, the daughter of an actor father and a Philadelphia Quaker mother. 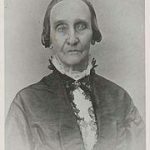 Kate lived with her millionaire aunt and uncle, Mr. and Mrs. Milton H. Sanford, and they financed her education in New England, and then in England. They also traveled throughout Europe – to Paris, Rome and Florence – and supported her lavishly while she became acquainted with the social and cultural elite. Kate Field began a writing career while living in Florence, Italy from 1859 to 1861, sending articles to several American newspapers and magazines. Field became one of the first women reporters, serving as correspondent for the New York Tribune, New York Herald, Atlantic Almanac and other papers. In 1861, Atlantic Monthly published her memoir about Elizabeth Barrett Browning, whom she met in Europe. There is an American woman, of whom not to speak in a work purporting to be a memoir of my own life would be to omit all allusion to one of the chief pleasures which has graced my later years. In the last fifteen years she has been, out of my own family, my most chosen friend. She is a ray of light to me, from which I can always strike a spark by thinking of her. Back in the States, Field worked for several years as a freelance journalist beginning in the mid-1860s, writing more than one hundred pieces for the New York Herald Tribune alone. She contributed articles to a wide range of publications, about topics such as literature, theater, and exhibitions. 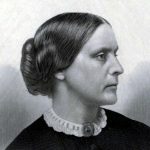 By the end of the decade, Field had become a celebrity, mostly because of her coverage of the 1867-1868 American tour of Charles Dickens, then the world’s most famous author. She edited her letters to the New York Tribune about Charles Dickens’s American tour into a book, Pen Photographs of Charles Dickens’s Readings (1868). However, when Charles Dickens was feted by the New York Press Club, Miss Field could not attend the all-male dinner. 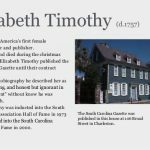 Writing for newspapers and magazines brought her recognition, but lecturing was one of the few well-paying careers available to American women at that time. 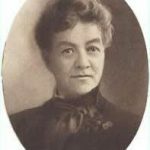 Because it was more lucrative, Kate Field periodically fell back on lecturing for the rest of her life, becoming one of America’s premier lecturers at a time when touring public speakers were a great source of information and entertainment. She converted her articles on Charles Dickens into one of the lectures she later delivered to popular acclaim at halls around the country. 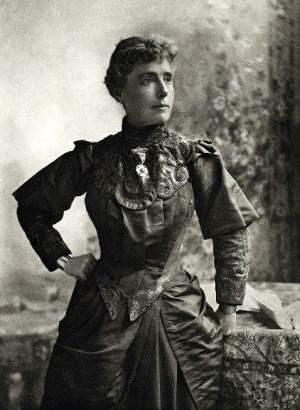 Field moved to London for more than four years in the 1870s, where she was more successful as an actress and playwright. She also continued to work as a journalist, reporting on political and social events for American newspapers. In the late 1870s Field became a publicist for Alexander Graham Bell and his British telephone company, and helped to introduce the telephone to the U.S. and Great Britain. Henry James was admittedly inspired by Kate Field to create the character of journalist Henrietta Stackpole in his novel, The Portrait of a Lady. Confident that her one-woman play, Eyes and Ears in London, would finally give her success on the stage at home, Field returned to the States and took her show on a tour of the Northeast. The show was popular and received good reviews, but she soon lost money and reputation in a fashion venture in New York City. 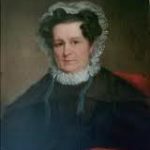 She established the Cooperative Dress Association to provide good clothes to women of limited incomes, but it failed miserably. She then wrote a series of articles against Mormon polygamy and another series in praise of Alaska. They talk about a woman’s sphere, as though it had a limit. There’s not a place in earth or heaven. There’s not a task to mankind given … without a woman in it. Between 1890 and 1895, Field edited, published and wrote much of the copy for Kate Field’s Washington, a sixteen-page weekly newspaper she established. The paper reported news, and political and cultural events taking place in the capitol, most of it provided by Field herself from her own files, constant travels, and active role in Washington’s social life. We do not know how much discrimination, sexual harassment and criticism she might have endured from the good old boys in the newspaper and magazine trade. Among the political causes Field supported in her publication were civil service reform, immigrant voting rights, and opposition to the admission of New Mexico as a state (because many residents spoke only Spanish). I scorn hair pins and let my hair roll in a fine frenzy down my back. I bathe in the sea and have an appetite that would do credit to a boa-constrictor. The amount of bread and milk I consume is appalling. Cows run when they see me approach and bakers gaze upon me as a special Providence. In 1896, she went to the Hawaiian Islands for a much-needed rest, but instead went on a fact-finding mission, looking for supporters of the annexation of Hawaii. While working on a story about the culture of the Islands, she fell ill.
Kate Field died May 19, 1896 of pneumonia in Honolulu at age 57. As she had specified, her body was cremated and her ashes brought to Cambridge, Massachusetts for burial. Although she was well-known and celerated during her lifetime, Field has been ignored by history. Her friend Lilian Whiting published Kate Field: A Record (1899), a biography that consists largely of excerpts from Field’s letters. Whiting apparently later destroyed those letters, as well as Field’s lifetime of diaries.